Applications are invited by Pondicherry University Directorate of Distance Education (DDE), Puducherry for admission into distance Master of Business Administration (MBA) programs offered in two modes for the commencing session 2012-13. MBA in General, MBA in Marketing, MBA in Human Resource Management, MBA in Retail Management, MBA in Finance, MBA in International Business and MBA in Tourism. Candidates must have any degree from a recognized university under 10+2+3 or 11+1+3 or 11+2+2 system of college education. By post on request with self addressed Ten Rupees stamped envelope (25x18 cm) addressed to The Director, DDE, Pondicherry University, Puducherry – 605014. 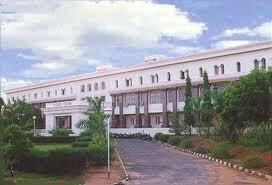 DD for Rs.8175/- drawn in favor of “The Finance Officer, Pondicherry University, Puducherry”, payable at Puducherry. DDE copy of challan for Rs.8175/- paid in the DDE A/C No. 413264239 at Indian Bank, Pondicherry University Please write your name, course applied for, and the phone/mobile number on the reverse side of the demand draft. Fee once remitted will not be refunded under any circumstances. For more details and information on how to apply, please visit their official website. For details and information on selection procedure, please visit official website. Last date for submission of the filled-in application form: Saturday, October 20, 2012.